Enhance your network with the carrier-class, packet-based Alcatel-Lucent 7470 Multiservice Platform that is specifically built to deliver single-service or multiservice broadband support for traffic aggregation and convergence. Choose the right platform that allows you to provide managed IP, video and voice solutions as well as asynchronous transfer mode, cell relay and frame relay plus circuit-emulation services all over traditional TDM functionality. You’ll also be able to support synchronous optical network and synchronous digital hierarchy connectivity. 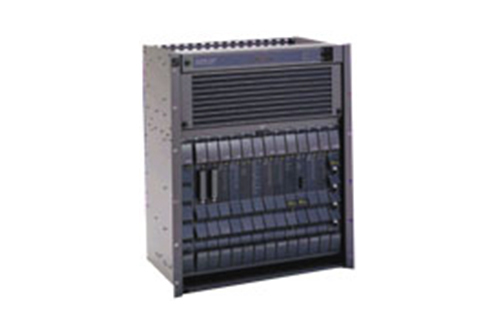 Worldwide Supply can help you secure a refurbished Alcatel-Lucent 7470 MSP that is well suited to building out 2G and 3G mobile services, fixed wireless solutions and DSL traffic. We’ll empower you to enable traditional managed data, broadband wireless, IP and Ethernet services perfect for edge and back office networks. The used Alcatel-Lucent 7470 multiservice platform enables your network to scale and flex with need, reducing your capital expenditures and minimizing your installation costs as the platform grows from a single shelf to multi-shelf and multi-service capabilities. The architecture allows you to scale and grow without disrupting your services, and universal card slots enable you to install a mix of devices and interfaces based on different business needs. With a used Alcatel-Lucent 7470 MSP, you can add a future-proof solution with a simple evolution to expand to new broadband services focused on IP services. Use the best in today’s traffic management capabilities with the MSP and advanced QoS capabilities. Find the right network tool at the best price when you choose a used or refurbished Alcatel-Lucent 7470 MSP below. Our in-house experts thoroughly test all of these units. We run everything through the gamut of real-world scenarios to ensure each is reliable enough and meets original OEM standards. Once we prove their quality, each gets a lifetime warranty to guarantee that quality and reliability come standard. To make a refurbished Alcatel-Lucent 7470 MSP even more appealing, you’ll get it at a savings of up to 80% off original OEM pricing. This allows you to buy the equipment as you need it, while still having enough left over to upgrade and expand. We’re here to help you make the most of every dollar and keep your network running smoothly. Worldwide Supply is confident in our ability to offer savings with refurbished and used Alcatel-Lucent 7470 MSP because of our robust in-house standards. We’re an ISO 9001:2008 and TL9000 certified organization, providing international sales, repairs and spares to leading networks on almost every continent. Our warehouses offer more than $250 million in products, in stock for immediate delivery. To keep these commitments, we provide 24/7 support, including repair and maintenance options under our NetGuard solution. This brings maintenance to a single contract and point of contact for more than 200 product families across dozens of OEMs. Certified engineers are available for configuration support and system design as well, helping you grow as your customers demand. Maximize network profitability by adopting a refurbished Alcatel-Lucent 7470 Multiservice Platform from Worldwide Supply.